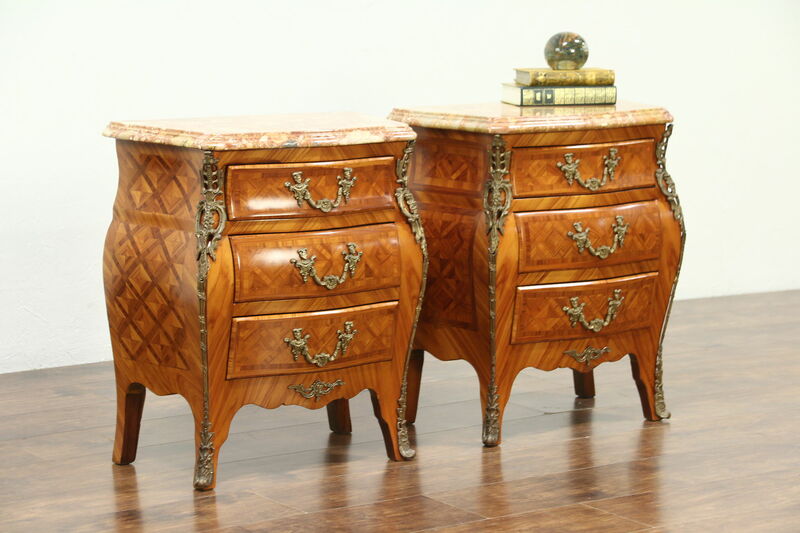 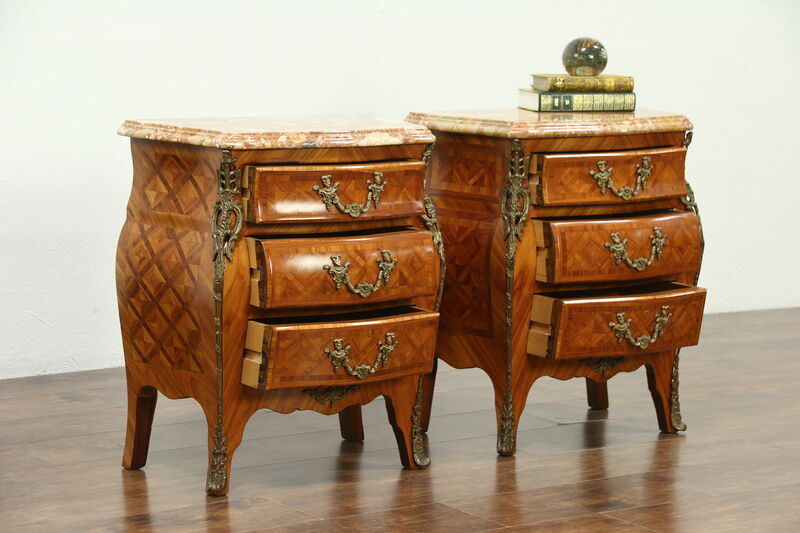 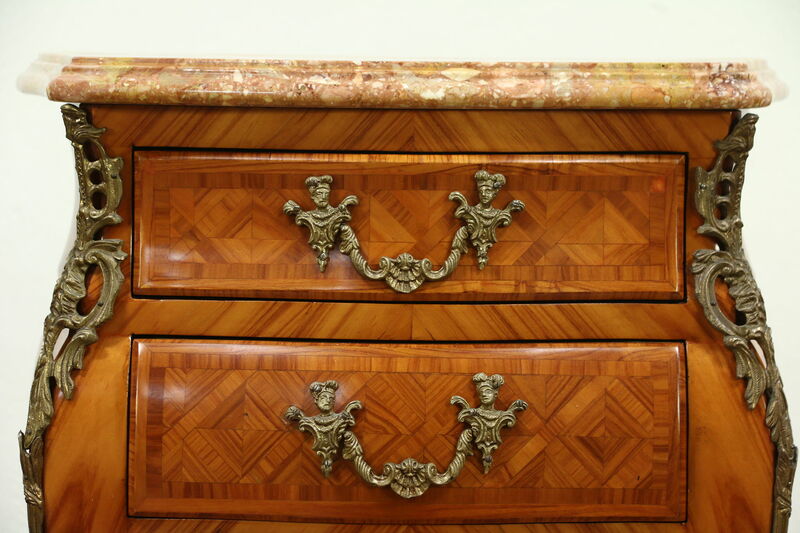 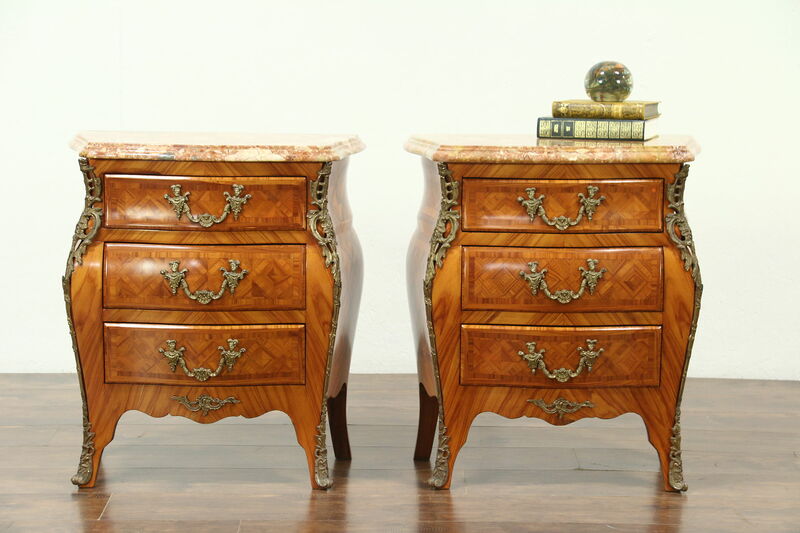 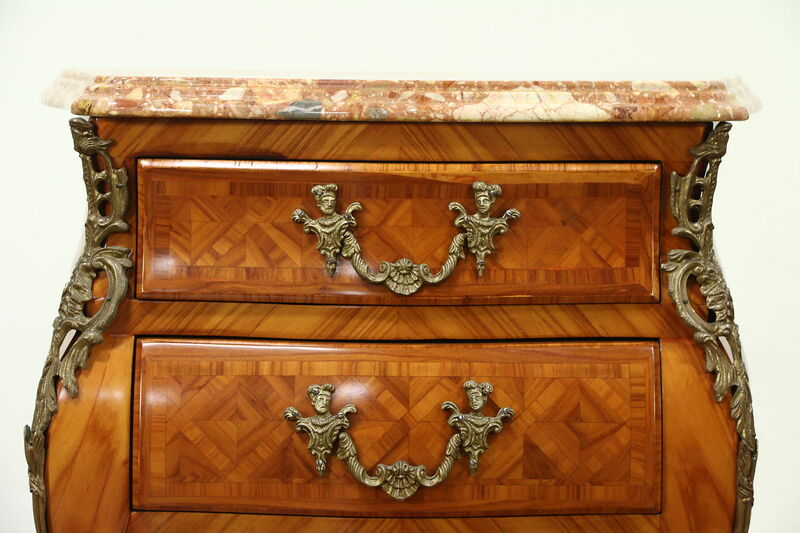 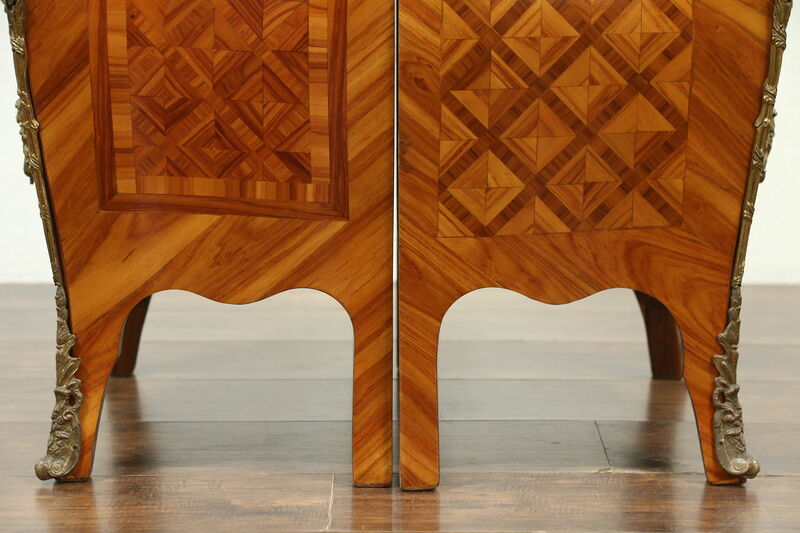 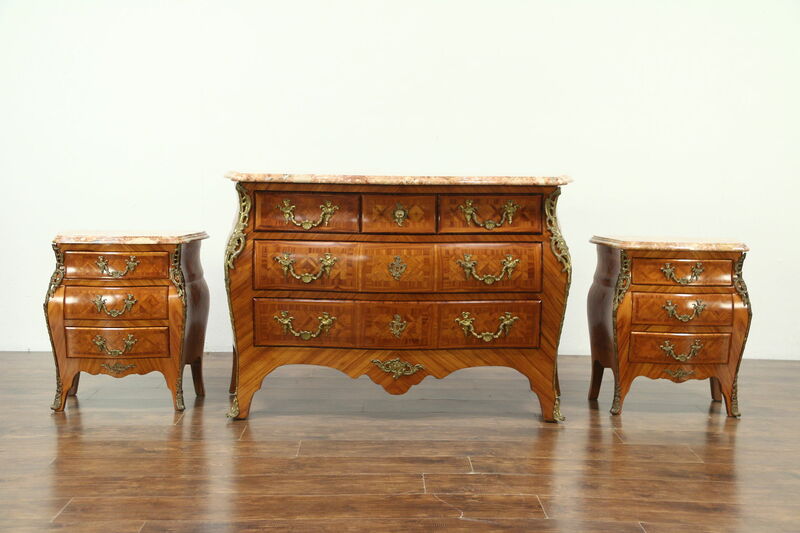 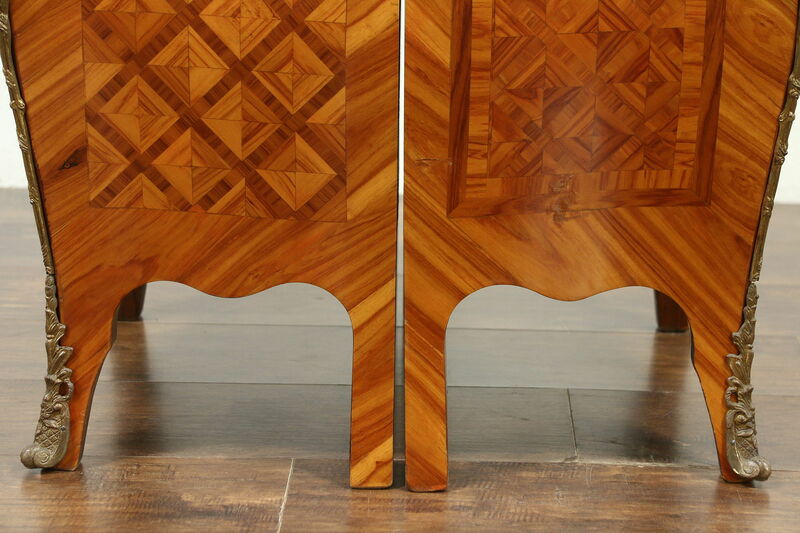 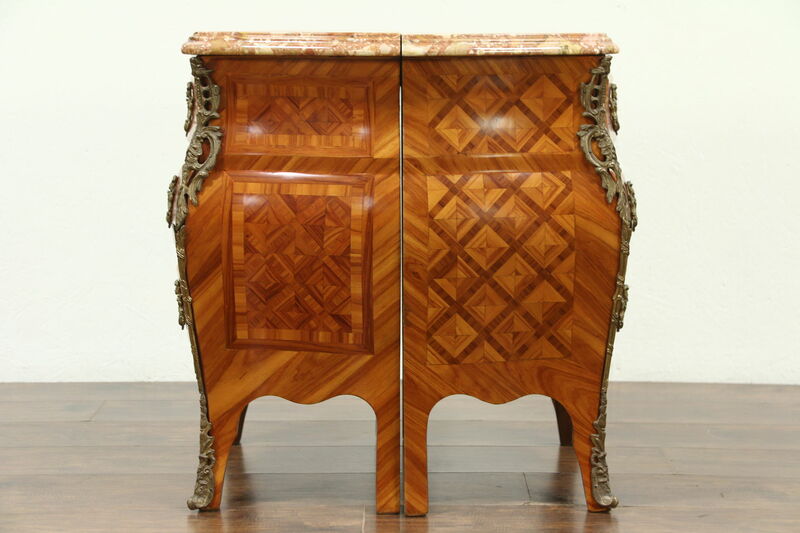 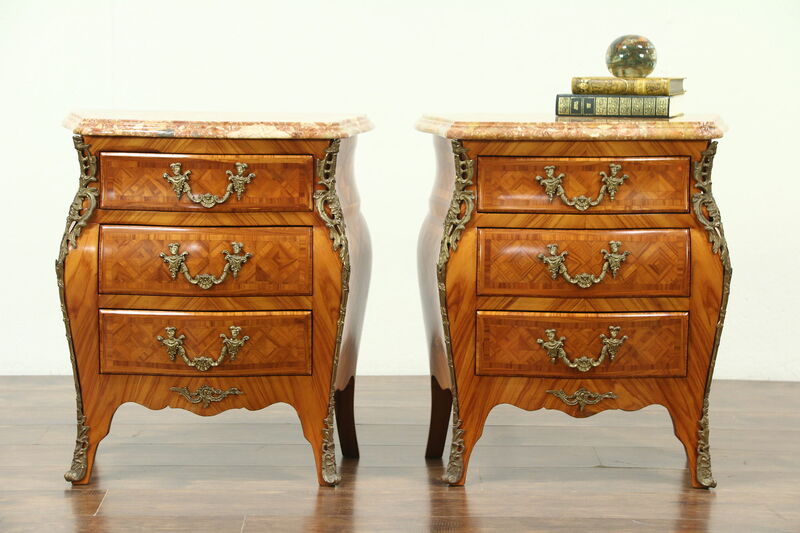 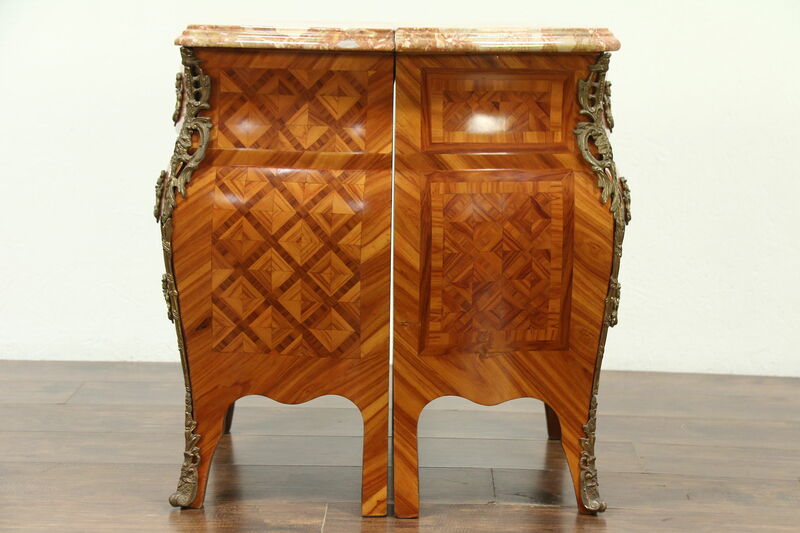 A palatial pair of chests, end tables or nightstands were expertly crafted in Italy about 60 years ago. 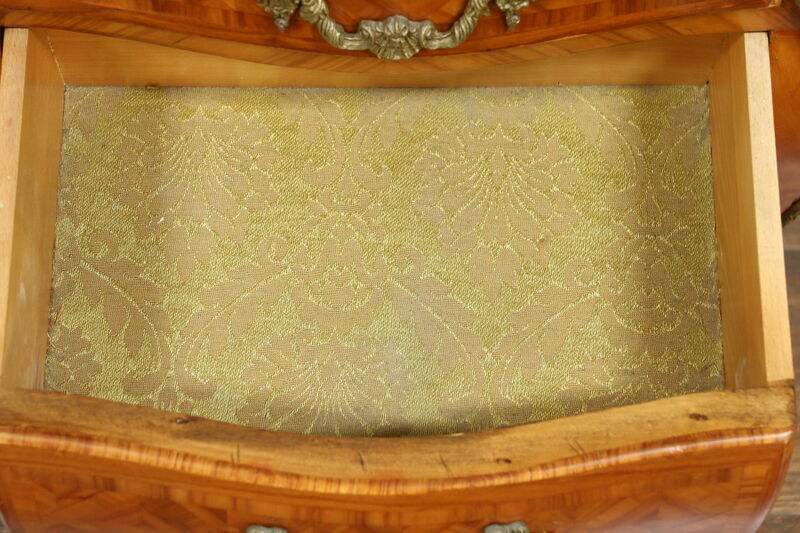 The "bombe" or gracefully curved design is beautiful. 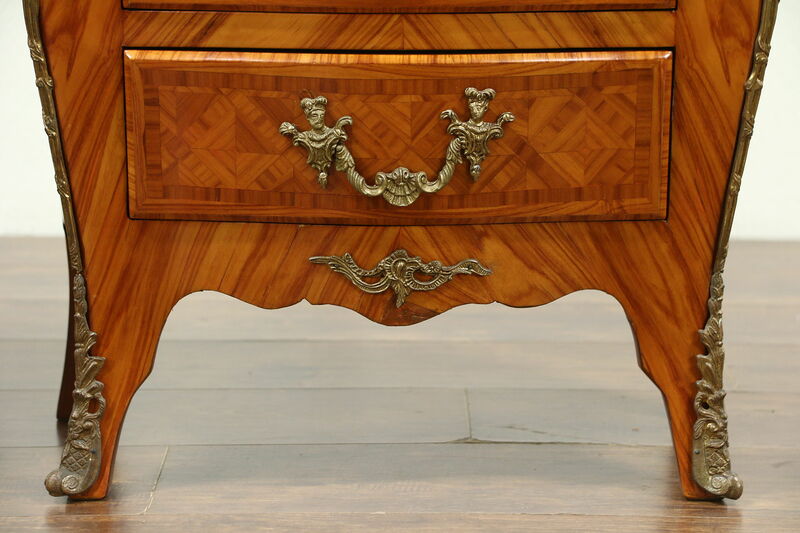 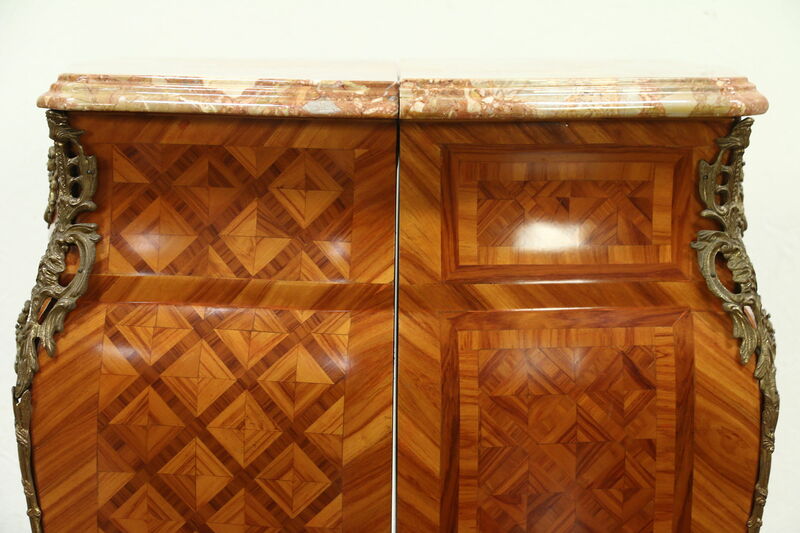 Intricate inlaid marquetry includes genuine exotic rosewood and tulipwood. 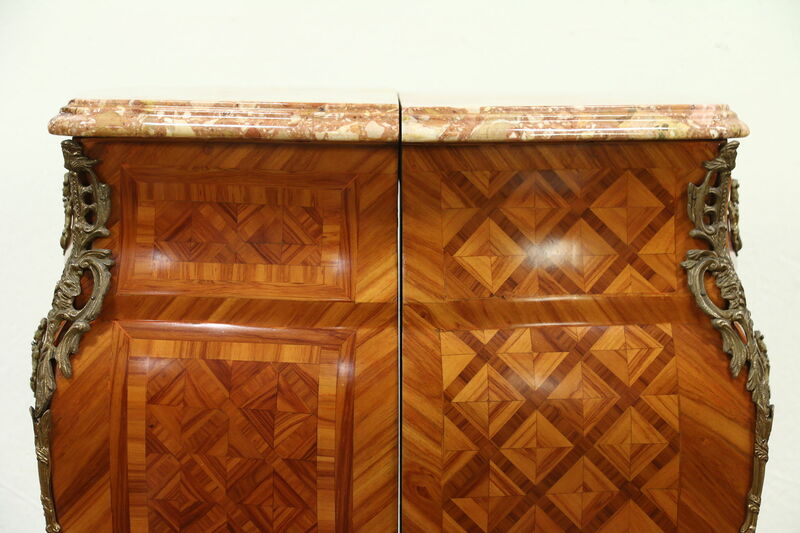 Sides have slightly different patterns, see photos. 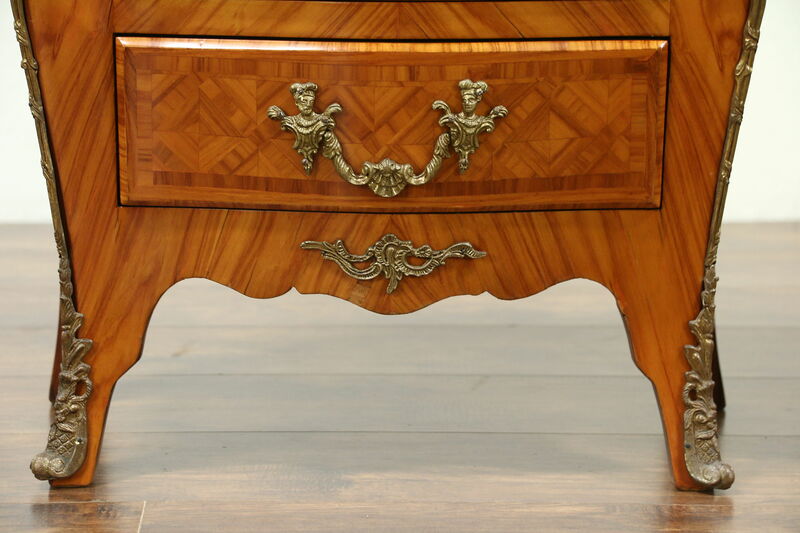 The restored glowing finish in excellent condition on this elegant vintage furniture. 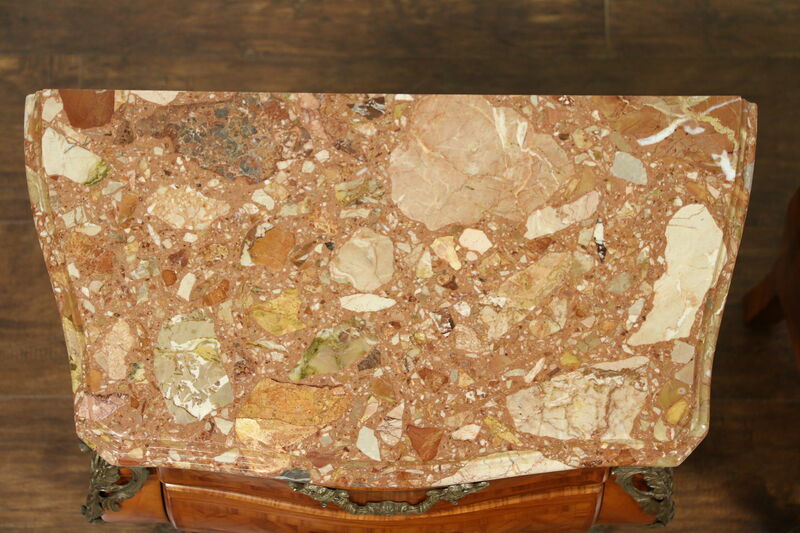 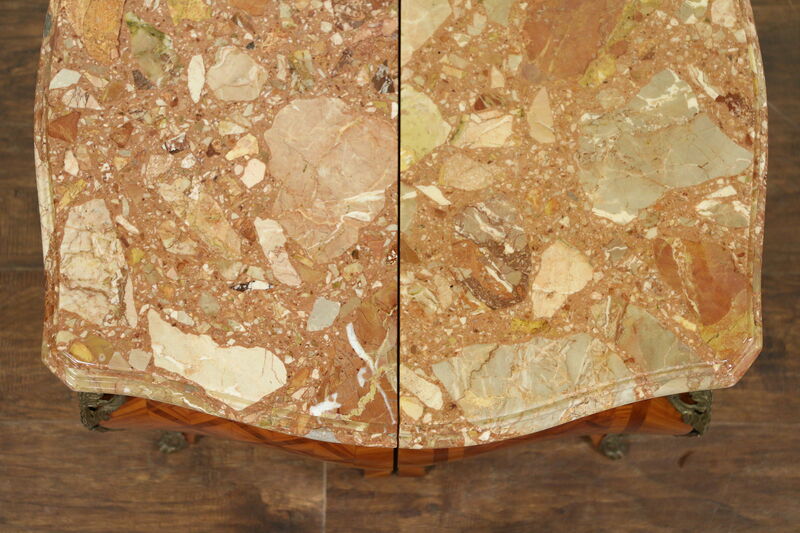 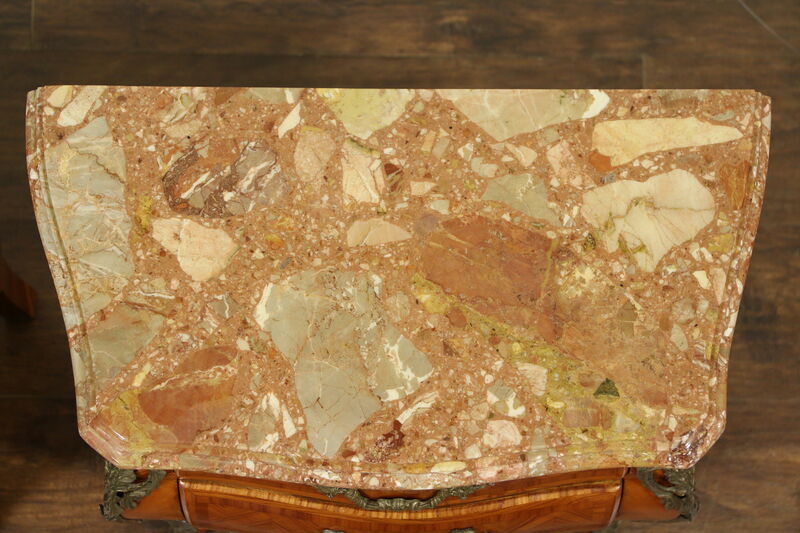 The richly grained "Brescia" shaped marble tops have been polished and given a protective finish. 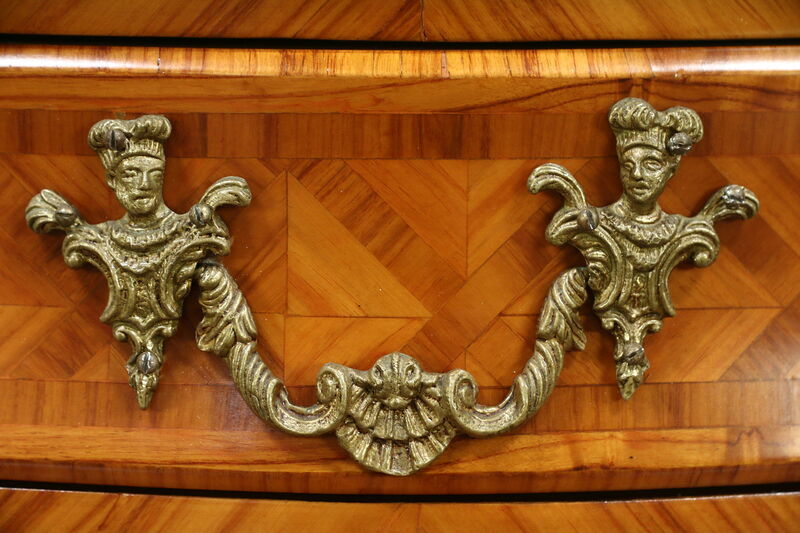 Elaborate embossed solid brass mounts and pulls have a rich patina and are also original. 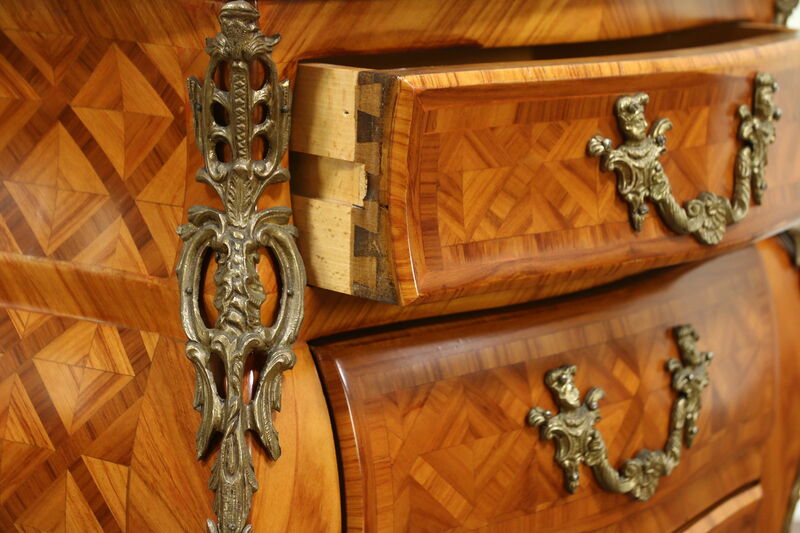 Drawers have dovetailed joints. 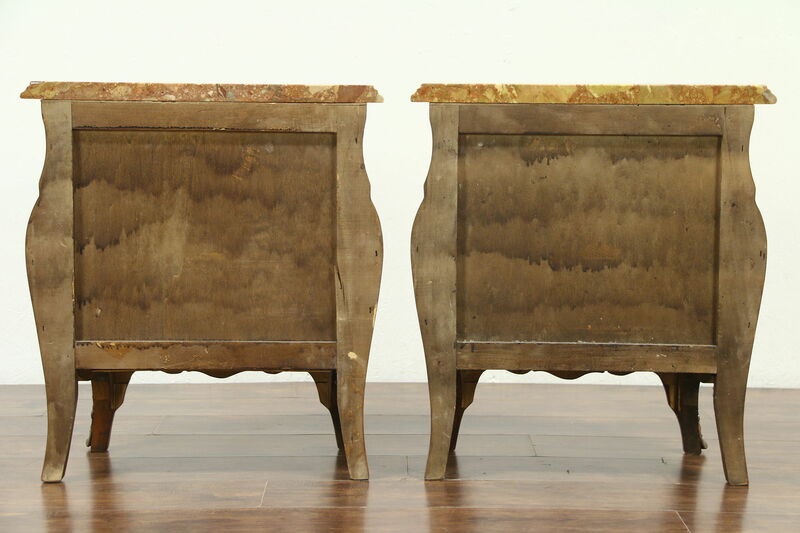 This vintage furniture measures 22 1/2" wide, 14" deep and 25 1/2" tall.